Hey, guys! How did you like yesterdays Raw Beet and Apple Slaw? It is sooo tasty, I had it again for lunch today and it’s just delicious. If you missed it, grab the recipe here. I wasn’t sure how well the recipe would keep but it actually got better after a day or two! Considering how good-for-you it is, it packs some pretty awesome flavours. Now, to balance out all that health-schmelth stuff, we need some chocolate up in here! 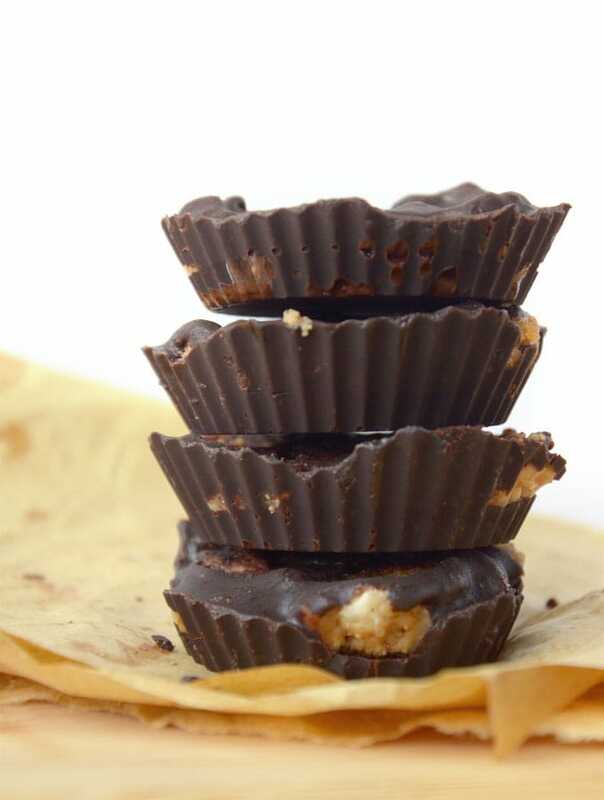 I adapted these from my ever-popular Vegan Chocolate Peanut Butter Cups, which if you haven’t made before, I’d suggest getting on that! 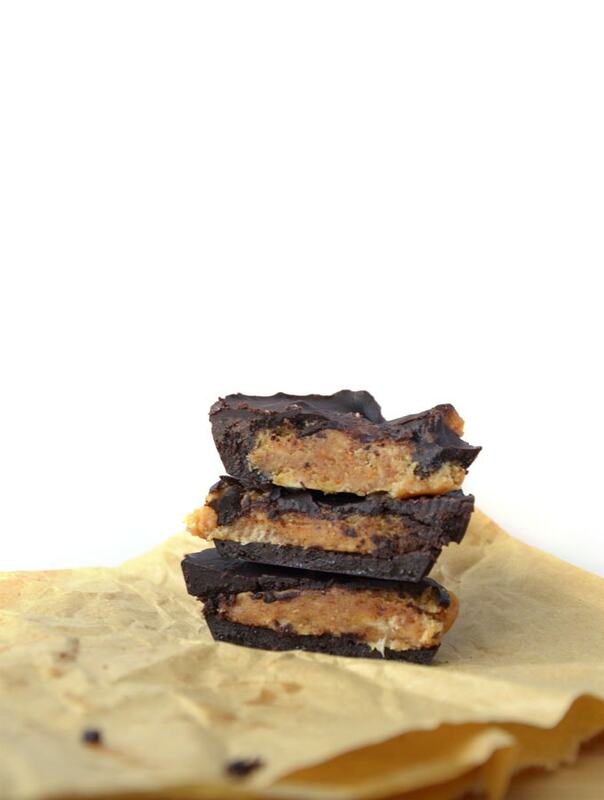 They have a secret ingredient that makes them taste just like Reese’s Peanut Butter Cups! Yep, you heard me right! Reese’s. Peanut. Butter. Cups. It’s true. This recipe is pretty similar to the original. 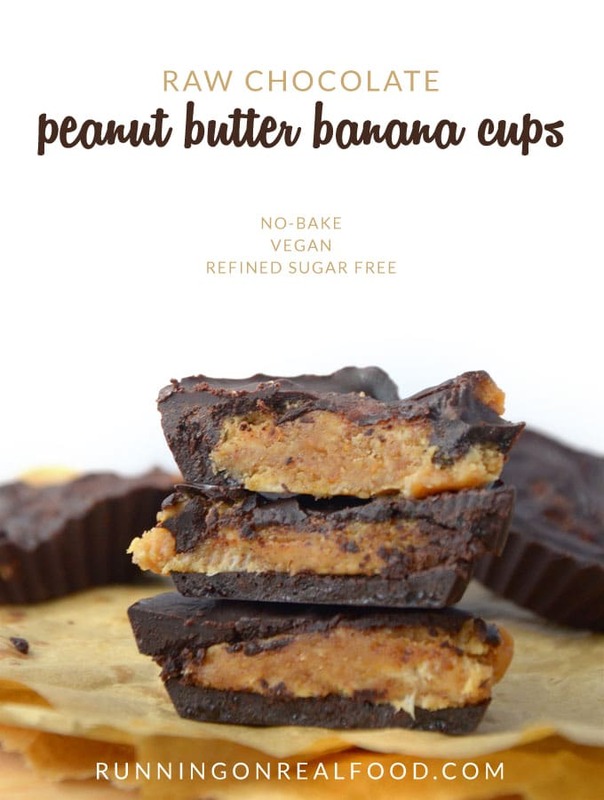 The chocolate layer is actually exactly the same but the peanut butter filling has banana added to it for a fun and most delicious twist! I’ve gotta keep it quick today so that’s about it…who wants to read when you could be making these anyways…right? Mix the coconut oil, cocoa powder and maple syrup together in a bowl. Add about 1 1/2 tsp of the chocolate mixture into 12 muffin liners and place in the freezer to harden. Mash the banana in a bowl until completely smooth. 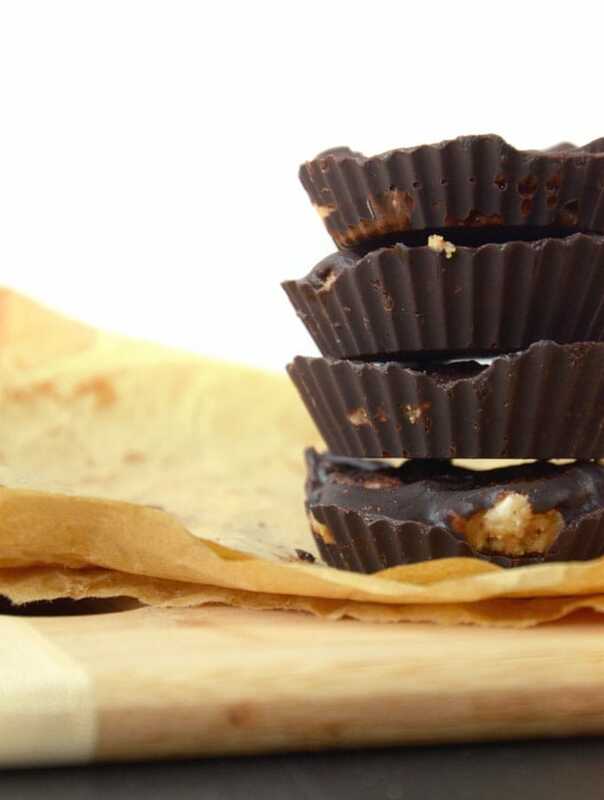 Pull the muffin liners out of the freezer and divide the peanut butter by spoonfuls into each cup. Use your fingers or a spoon to press it down so it’s somewhat flat. Cover each muffin cup with the remaining chocolate mixture and place back in the freezer for at least 20 minutes. Once they’re hardened, they’re ready to enjoy! These are really good frozen but even better if you let them sit for about 10 minutes after they come out of the freezer! For treats like these, I find silicone baking cups work the best. They’re inexpensive, non-stick, last forever and work great for making desserts like this. Grab a set here. 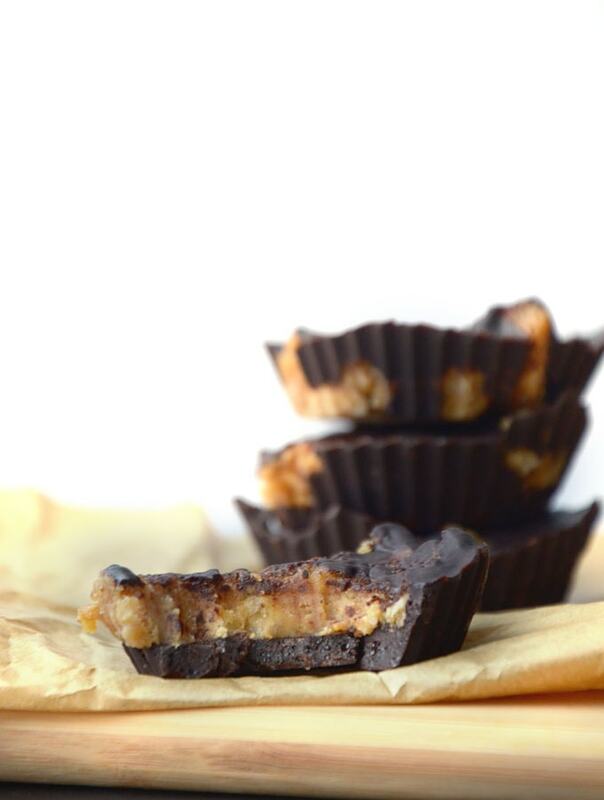 Looks delicious and much healthier than Reese’s!